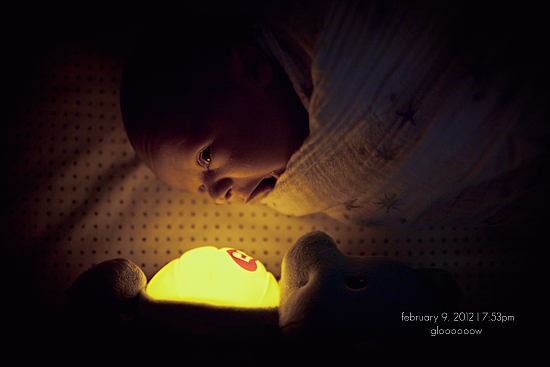 Broke out the glowing seahorse toy today to see what Cadence thought. It plays lovely, chimey tunes and makes bubbly ocean noises. And it glows. Clearly we're both fans.